My review of The Last Runaway by Tracy Chevalier appeared in The Star today. This is the original version which reads a bit better! Tracy Chevalier, best known for The Girl with a Pearl Earring which became an international best-seller and a Hollywood film, sets the seventh of her historical novels in her native America. 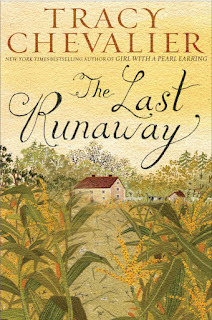 The Last Runaway, set in the 1850’s, takes a look at the country, pre-Civil War. It deals with the legacy of slavery, and in particular what came to be known as The Underground Railway, an escape route set up to help slaves make their way to Canada. The “railway” comprised of safe houses or “depots” where runaways could find shelter and food. Although, as Chevalier notes on her website, the numbers of slaves escaping this way was not great, the very fact that the “railway” existed at all must have threatened slave owners and appeared to undermine the whole economy. After a broken engagement, Quaker Honor Bright decides to follow her sister who is leaving for America and a new life. Grace is betrothed to Adam Cox, who left Britain earlier to set up shop in a village in Ohio. The voyage across the Atlantic is so horrendous that Hope realizes that she would not be able to ever face it again to return to England. Sadly, Grace does not make it to Ohio, but contracts yellow fever on the journey and dies. Honor is thus thrown onto the kindness of strangers. When she reaches Wellington in Ohio, she is taken in by the plain spoken milliner, Belle Mills, who becomes her only real friend. Honor wins her respect because of her skill with a needle, and Belle soon puts her to work helping to decorate hats and make bonnets. Adam Cox comes to collect her a few days later. He is living with his recently widowed sister-in-law, the dour Abigail, and the living arrangements prove to be awkward. Honor realises that the only option open to her is to marry, and she accepts the proposal of Jack Haymaker, whose family own a thriving farm nearby. Honor must learn to adapt to her new environment. Everything is different in her adopted country from the landscape with its large open fields and forbidding woods, and the weather with its extremes of summer heat and winter cold, to the monotonous corn-based diet. But the most difficult adjustment she must make is to fit in with the small-minded local community and the family into which she has married. Things only get worse as she becomes aware of the plight of runaway slaves passing through Ohio (which is a free state) on their way to Canada and their freedom. Hope realises that Belle is involved in the “railway” early on in the novel, but she finds herself personally involved when a fugitive slave appears in the yard one day. Soon she is hiding food and directing slaves to the next town where they can find safety. Even though Quakers are against slavery on principle, since they believe every human being carries the same light within them, her husband and his family forbid her from helping any more runaway slaves. The passage of the Fugitive Law means that there are dire penalties for harbouring them, something the Haymakers know only too well. Honour is left in no doubt that her if she obeys her conscience she is imperiling those she lives amongst. Furthermore, she risks being ostracized from the Quaker community and losing all rights to her own child if she persists. Compounding the moral dilemma is the fact that Quakers are not supposed to tell lies, but Honor realises that sometimes lies, or at least evasions, are sometimes needed to prevent greater injustice. These dilemmas are at the heart of the story, and Honor realises that there just are no easy answers. Complicating matters more are Honor’s feelings towards Donavan, Belle’s brother who is a bounty hunter looking for slaves. The sexual tension is palpable, and their scenes together are some of the most compelling in the book. It’s a pity that Jack Haymaker is so colourless in comparison. In Honor Bright, Chevalier creates a heroine who grows and evolves to take charge of her own destiny. Ironically, she is as much a runaway in a metaphorical sense as the slaves that she helps. The book is very thoroughly researched yet the historical background never weighs down the narrative. 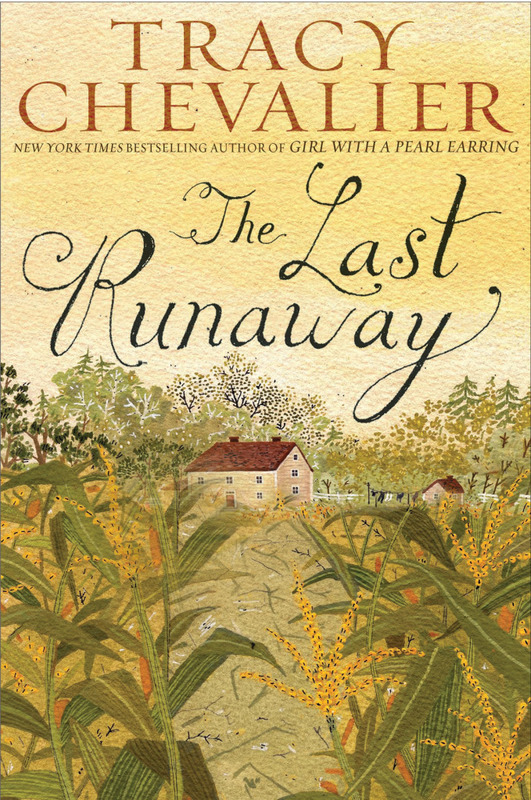 Indeed, The Last Runaway is a page-turning piece of fiction, and its great strength is in the very real sense of period and place that Chevalier creates, particularly in the domestic details. Particularly enjoyable are her descriptions of the traditional art of quilt making which serves as a motif throughout the book. Thanks for this review. I have read several of her books and am impressed by her writing, so I'm happy to discover a new one. My library has a copy, so I put it on hold.